Simply immaculate! 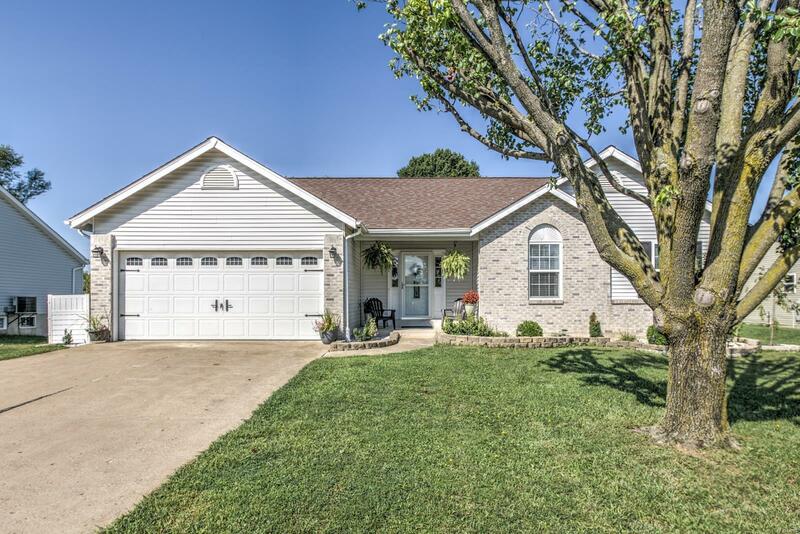 Spacious, fenced in private yard that features an expansive deck and backs to a wooded area. The main floor features gorgeous laminate wood plank flooring (throughout). Large vaulted living room with exposed beam ceiling and a wood burning fireplace with brick surround. Kitchen/Breakfast Room has stainless steel appliances, custom cabinets with crown molding, recessed lighting, and a gorgeous tile backsplash. The vaulted master bedroom features included exposed beam ceiling, walk-in closet and ensuite with a large oval tub with a beautiful tile surround, separate shower, double vanity and tile flooring. Home also features two more large bedrooms and a full bath. A large basement is perfect for storage or finishing and includes a rough-in bath and recessed lighting. Convenient main floor laundry off the kitchen.